You dance yourself fit! 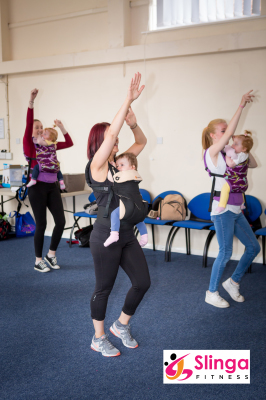 In this simple & safe aerobic class with no equipment needed other than your little one in a carrier; think Zumba, but with babies and cheesier! This is the perfect return to fitness class (Postpartum), or for those looking for a lighter, more enjoyable bonding class, perfect for both you & your little one! 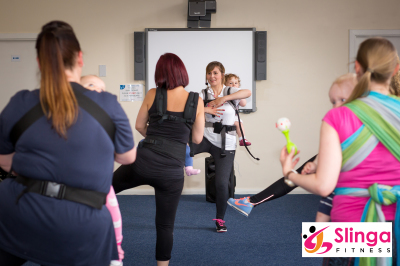 The sessions will be run in a semi-structured format whereby you can participate at your own pace, with each routine being altered to suit your requirements with postnatal fitness and babywearing safety at the forefront of the classes design. You can stop at any time to tend to your little ones, and jump back in when you are ready. Like all the classes offered, there will be toys,mats, etc still provided if you do not want to 'wear' the full class so you can still join in. 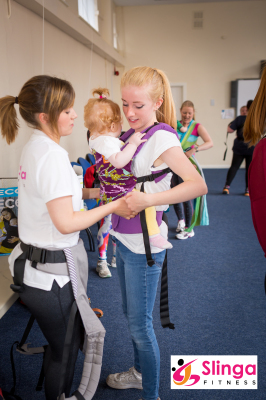 Also, there will be ergonomic baby carriers available for use during the class, however you are welcome to use your own (once agreed with instructor it is safe enough for class use). After class, its time to socialise! Expect hot drinks & nibbles, time to chat with others and for little ones to play. much deserved for all after your hard work in class! Please see below for carrier safety as well as extra details for the class! Prior to joining any of the classes Slinga Fitness offers, you will be required to undergo health checks to ensure you are fit and able to participate as well as ensuring all health implications are known in order to adapt and alter sessions accordingly. The pre checks are entirely confidential and will include a PAR-Q (Physical Activity Readiness - Questionnaire), an informed consent document, as well as other health checks to ensure you and baby are fully able to participate with Slinga Fitness safely; health and safety is paramount! - Improve your mood; relieve your stresses! Enables you to look after your little one, whilst you look after you! - Contentment, relaxation and an opportunity to sleep!